When will be Nearest and Dearest next episode air date? Is Nearest and Dearest renewed or cancelled? Where to countdown Nearest and Dearest air dates? Is Nearest and Dearest worth watching? Colne's finest pickle factory, Pledge's Purer Pickles, falls into the hands of Nellie and Eli Pledge after the death of their father, Joshua. Neither of the previously estranged siblings are that keen on taking on the business but they are forced into partnership by their father's bequest of £20,000 cash, should they keep the factory - and family home - running for at least 5 years. 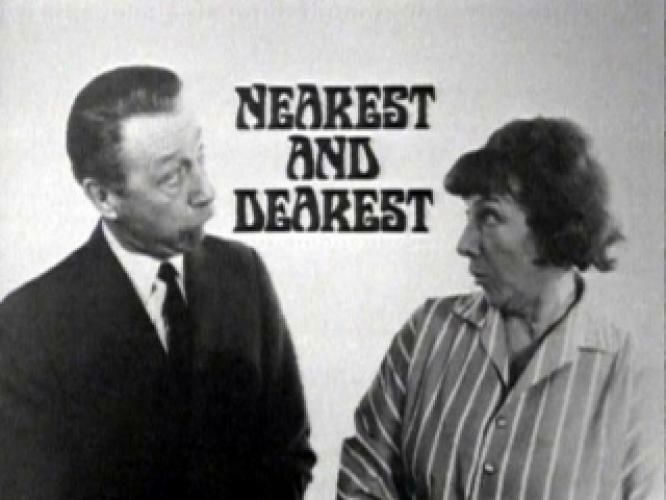 Nearest and Dearest next episode air date provides TVMaze for you. EpisoDate.com is your TV show guide to Countdown Nearest and Dearest Episode Air Dates and to stay in touch with Nearest and Dearest next episode Air Date and your others favorite TV Shows. Add the shows you like to a "Watchlist" and let the site take it from there.